Binter today justified the cancellations between the two islands due to time and security reasons. The Government of the Republic also ensures that there is a valid contract between the State and the company. In the written response, it is stated that “the government has expressed concern over the setbacks that the situation is causing,” and the company’s executives said the Binter will resume regular flights. The regulator, the National Civil Aviation Agency (ANAC) “monitors the situation”. Last Friday, the president and vice-president of the Madeira executive, as well as several regional political forces, publicly criticized the cancellation of more than 12 Binter flights between the islands of Madeira and Porto Santo, rejecting the argument of the bad conditions for this decision. Twelve cancellations took place last week, between Tuesday and Friday. In this last day, the President of the Government of Madeira (PSD) examined the situation of the cancellation of flights with Binter disastrous, criticizing the executive of the Republic (PS). “The situation is disastrous, because I think that once again the government of the Republic has been negligent, since the competition has opened too late,” said Miguel Albuquerque, referring to the granting of the Aerial company . The Democratic Socialist of Madeira said that the direct adjustment made to the Spanish carrier for this line “came to an end on Wednesday”. “I think the unlicensed company was reluctant to fly at that time,” he said. Also pointed out that there were days when only Binter canceled their flights between the islands, because the movement to the airport of Madeira – Cristiano Ronaldo took place smoothly and that the carrier held, including the Madeira connection / Gran Canaria / Madeira. On Saturday, the national government announced that it was investigating “this situation. “In the face of flight cancellations in recent days, the government asked the company mentioned, after being informed that the cancellations were due to meteorological reasons,” said the Office of the Secretary of State for Infrastructure in a statement. For this reason, the executive “informed the concessionaire of the imperative need to guarantee the provision of the contracted service”. 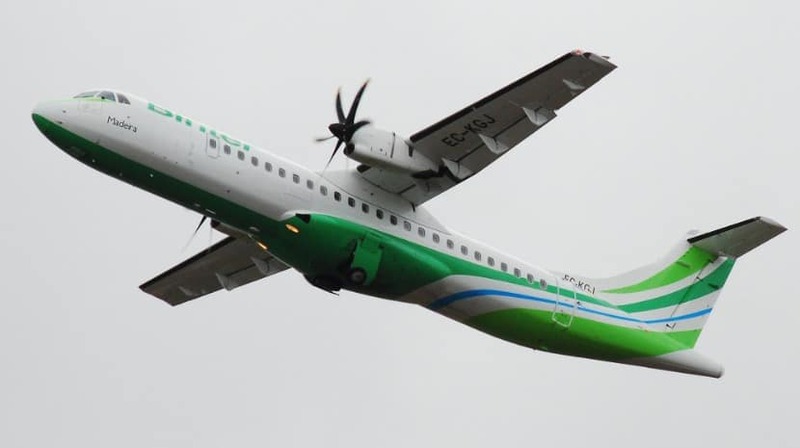 The Binter airline, based in the Canaries, is responsible for between Madeira (Funchal) and Porto Santo since June this year, following a concession contract with the Government of the Republic.